Politicians often talk about “governing for the whole of the country”. This is seen to be the desirable outcome of the democratic process: a system that, as some American guy put it, creates “government of the people, by the people, for the people”. The most successful politicians in modern-day politics are those who convince voters, in large numbers, that they are truly committed to such a goal. It usually turns out that they aren’t, but sometimes that takes a long while, or there isn’t an obvious departure from that apparent commitment. This was the case for Tony Blair, and I’d say it’s also been the case for Barack Obama, despite more obvious checks and balances preventing him from fulfilling his mandate. Tomorrow will see David Cameron and his Conservative Party decisively reject the idea of governing for the whole of the country. Of course, they have rejected it many times previously; it just so happens that they’ve had a decent check and balance, the Liberal Democrats, preventing them from running amok governing like true Tories. But tomorrow they unveil perhaps their most nakedly offensive policy yet. Housing has once again slipped down the political agenda during this election campaign, which is a shame as it had appeared to be rising in importance. It had even precipitated something of an arms race between the parties, with competing pledges on the number of houses they would build over the next Parliament. None of them were remotely realistic, but there appeared to be an emerging consensus on the importance of increased supply in a property market that is defined by extreme scarcity and extreme demand – a combination which has led to rocketing house prices, even in parts of the country that aren’t London. Against that backdrop the Tories have kept announcing policies that actually stimulate demand further. These have included things like NewBuy, Help to Buy, Help to Buy 2, Help to Buy ISAs, and an expansion of Right to Buy. The clue’s right there in the name: the Tories have focused all their attention on demand-side policies. The fact that the Lib Dems have let a lot of these things happen is probably the single worst area of our record in government. I don’t make any bones about that. But now the Tories want to go a step further. They want to extend Right to Buy to social housing tenants. 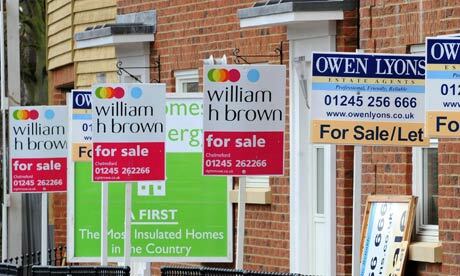 This is a policy that runs counter to everything that defines the UK property market. It is going to give a right to buy social housing at a discount to people who already benefit from cheaper rents. It is going to increase demand and reduce supply. It is going to slap 9 million people living in the private rented sector directly in the face. It is also deeply problematic, for the simple reason that it will mean a huge amount of government intervention in the social housing market. Effectively it removes at a stroke the idea that housing associations are autonomous organisations, able to develop their own assets and manage them in a sensible way. It is, in other words, a top-down, command-and-control, Soviet-type policy; it just so happens that it moves huge amounts of wealth from public or quasi-public hands into private ones, rather than the other way around. It is the worst policy so far announced in this campaign. That is saying something given the number of desperate pledges being thrown around on all sides. The Tories should be ashamed, but sadly, instead, their voters will be applauding this grotesque and vile attack on a decent society. Right to Buy for social housing tenants is literally the worst housing policy you could devise for the UK’s property market. ← #GE2015: Your Questions Answered #1: Where’s the Best Place to Find Out About Policies? There’s a worse policy – you could fund some of the discounted sell-off of HA stock by forcing councils to sell off their most valuable housing, only allow them to build replacements on a one to one basis, and then handing the balance to central government. Naturally, that’s what they’re proposing.